A warrior is not complete without his weapon, just as a traveller should not be without his travel essentials. Travel credit cards are like vital weapon to frequent travellers, and picking the right weapon for oneself can put forth a huge advantage in a battle. Just like a warrior, one should pick a weapon to complement his strengths and personality so as to maximise the benefits and advantages. 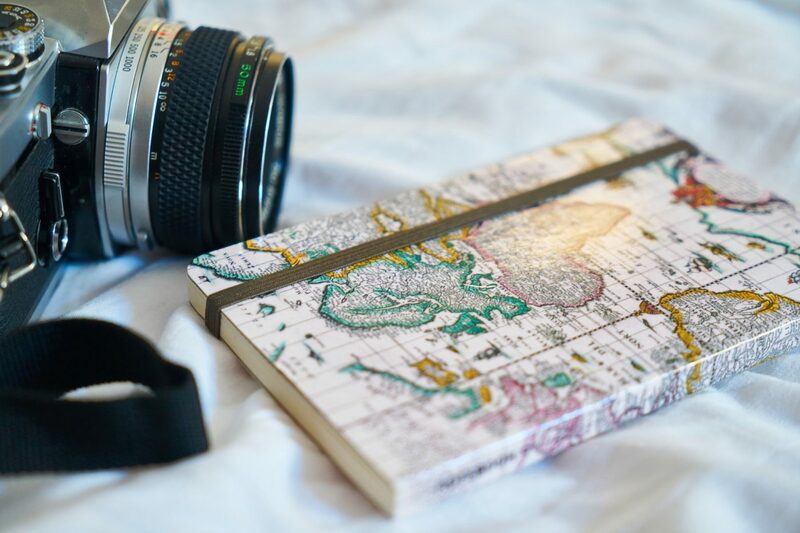 If you’re a frequent traveller, whether for work or play, you should already own a travel focused credit card. But if you don’t, fret not! 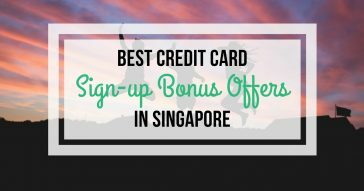 Cardable has compiled a list of travel credit cards in Singapore to help you in your selection process, identifying the key features and perks you should watch out for. Think about your spending habits, travel patterns and personality while you cruise through this discussion. Do you prefer using your card on overseas transactions? Are miles or cash back your preferred perk? Do other travel-related benefits like insurance and priority pass to airport lounges appeal to you? 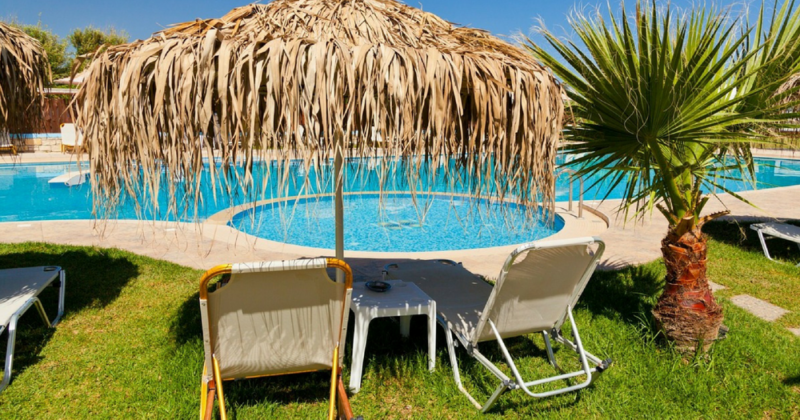 Let us get down to the details with a summary of the travel credit cards we will cover. 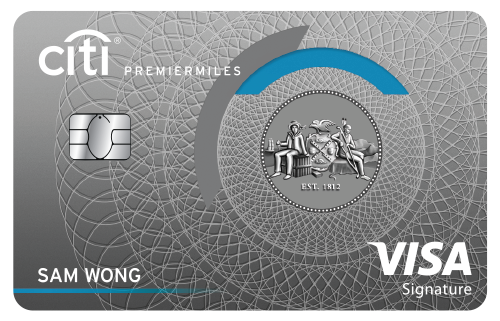 Once your application for the Citi PremierMiles Visa Credit Card is approved, you can start earning as much as 42,000 Citi Miles – in just a few months’ time. You can also earn 10 Citi Miles for every S$1 on online travel bookings! 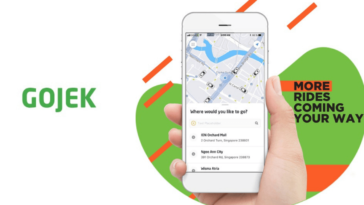 For every S$1 you spend, you’ll also get Citi Miles. That’s 1.2 Citi Miles (for local spend) and 2 Citi Miles (for overseas spend). The most attractive factor with the Citi PremierMiles Visa credit card is that these miles come with no expiration date. 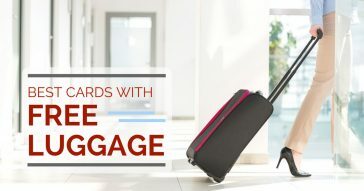 If you make most of your travel bookings online and do not want to keep up with the expiration dates for your miles, this card may be a good fit. Start earning miles without worrying about expiration with Citi PremierMiles Visa Credit Card now! If you often fly SilkAir and Singapore Airlines or they are your preferred choices when it comes to flights, the AMEX Singapore Airlines KrisFlyer Card is probably the best choice for you! For every SGD $1 of in-flight (or online) spending – at silkair.com, singaporeair.com, SilkAir SkyShop, and KrisShop, you’ll receive KrisFlyer Miles. These KrisFlyer Miles will also be auto-credited to your KrisFlyer account. Another attractive factor about this card is the additional travel perks, such as discounted walk-in rates at Premium Plaza lounges, and travel insurance coverage. For every S$1, you’ll also get 2 KrisFlyer Miles for every S$1 (overseas spend) and 1.1 KrisFlyer Miles for every S$1 (local spend). 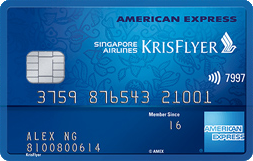 Earn KrisFlyer miles without the hassle of conversion with the AMEX Singapore Airlines KrisFlyer Card today. The appeal factor of the HSBC Visa Infinite Card is the automatic travel insurance it offers when you charge your full travel expense to the card. The travel insurance covers over 20 benefits, and insures the cardholder as well as his/her family member. It offers worldwide travel insurance that can go up as much as US $2 million! The air miles earn rate is at 2 miles per S$1 on overseas spend, and 1 mile per S$1 on local spend for the first year of card membership. From the 2nd year onwards, it is boosted up to 2.25 air miles for every S$1 on overseas spend, and 1.25 air miles for every S$1 on local spend! In addition, the HSBC Visa Infinite Card allows cardholders to have unlimited access to over 700 VIP airport lounges worldwide, just by presenting the Priority Pass™ Membership card (automatically issued to primary and supplementary cardholders 14 days after card is approved). You may also bring a guest along with you at just S$38 per guest per visit. The HSBC Visa Infinite Card is undoubtedly the most premium card out of all the other travel credit cards we’re looking at. With a minimum annual income of S$120,000 and an annual fee of S$650, it’s no wonder the perks and benefits are also at a premium level. Travel at ease and in style with the HSBC Visa Infinite card today! Travelling in comfort can be a very crucial factor to some frequent flyers, due to the amount of time they spend travelling to, from and at airports, and in flights. If you identify with this need, perhaps the Standard Chartered Visa Infinite Card is what you’re looking for. As a Standard Chartered Visa Infinite Card holder, you’ll get to enjoy up to six complimentary visits to Priority Pass airport lounges annually! What’s more, you get to receive cash rebates on worldwide Uber rides as well. The air miles earn rate is at 1.4 air miles for every S$1 local spend and 3 air miles for every S$1 overseas spend. Get your 6 complimentary visits to Priority Pass airport lounges worldwide annually with the Standard Chartered Visa Infinite Credit Card. 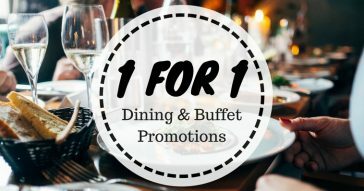 A traveller could really use bonus miles, right? With the DBS Altitude AMEX Card, you’ll receive 10,000 air miles as annual bonus if you choose to pay the annual membership fee. The DBS Altitude AMEX Card also has partnerships with Expedia and Kaligo. If you frequently book through these sites, you’ll be glad to know that every S$1 spend at Expedia and Kaligo lets you earn 9 miles and 13 miles respectively! Otherwise, you may still earn 3 air miles for online flight and hotel transactions (for selected websites) with every S$1 spent, capped at S$5,000 monthly. You’ll also receive 2 air miles for every S$1 of overseas spend, and 1.2 air miles for every S$1 local spend. 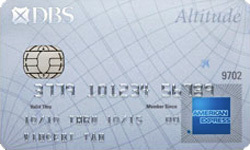 Earn bonus air miles every year with the DBS Altitude American Express Card! Did you know that you can easily convert your OCBC rewards points into air miles? 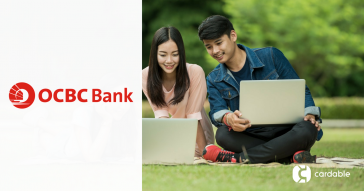 Signing up for the OCBC Titanium Credit Card is the first step. 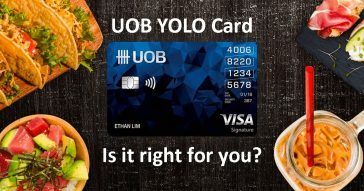 With this card, 10,000 OCBC$ is equal to 4,000 KrisFlyer Miles! You’ll also receive 1 air mile for every S$1 local spend, and 2 air miles for every S$1 overseas spend. Simplify your rewards points conversion to air miles with OCBC Titanium Credit Card. Of course, if your main focus is still to earn as many miles as possible, this last card we want to talk about may just be The One. The UOB PRVI Miles Visa Card is amazing in this aspect, with the simple, key feature that you earn 6 miles with every S$1 spent! By using the UOB PRVI Miles Visa card when you spend on hotels and major airlines through selected travel sites such as Agoda and Expedia, you get to earn 6 air miles with every S$1 spent. You’ll also receive 1.4 miles (for local spend) and 2.4 miles (for overseas spend) with every S$1 earned. 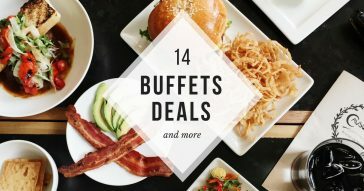 Sounds like a pretty awesome deal to us! 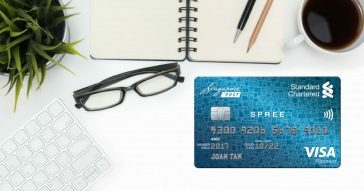 UOB PRVI Miles Card has one of the highest air miles earn rates among other travel credit cards! We hope this has helped you to decide, or at least narrow down your choices on an appropriate travel credit card. The card features and perks can be intimidating to tackle, so take your time to digest the information before you take the plunge. Another tip to share, several travel credit cards offer miles in their own “currency” and will require a conversion to air miles for a particular Frequent Flyer programme (eg. KrisFlyer miles). These miles may or may not equate to the same number of miles in the Frequent Flyer programme of your choice, so do keep a lookout for that! Let us know your choice of weapon if you do decide on one! If you feel like you need more help in visualising your spend and reward, take a look at our article on Comparison of Air Miles Credit Cards in Singapore as well. Feel free to comment below to share your experiences with any of these travel credit cards.